Match reports from the semi final and final. ECB Royal London Cup semi final, Yorkshire U15 v Middlesex U15, held at Kibworth CC on Wednesday 22nd August 2018. Yorkshire 232-8 (Dan Ford 51, Hector Bowerman 51, Will Luxton 29, Romir Singh 29, Yash Vagadia 26) beat Middlesex 189 all out (Harry Sullivan 3-28) by 43 runs. Yorkshire took on Middlesex on Wednesday 22nd August in their Royal London County Cup semi-final. Middlesex won the toss and put Yorkshire into bat. Hector Bowerman and Will Luxton got Yorkshire off to a flier, but the loss of two quick wickets dented the scoring rate, before Bowerman and Romir Singh rebuilt the innings. Yash Vagadia maintained the good work but the crucial impetus was provided by Dan Ford, who scored 51 off 61 balls (4x4 & 2x6) to push the score to a competitive 232 for 8 in their 50 overs. In reply, Middlesex lost a wicket in their second over, courtesy of a fine low catch at point by Hector Bowerman. They had moved the score on to 44 when Harry Sullivan had the other opener taken at slip by Leo Johnson before Cooper Smith removed the danger man, Prasad, well held by wicket-keeper Alex Kaye. Sullivan took two further wickets in his spell to take the legs out of the Middlesex reply. Ben Stokes also took two wickets at the other end and seamers Bird and Cliff returned to end the Middlesex revival as they were all out for 189 to give Yorkshire victory by 43 runs to earn a place in the final against Devon - who beat Lancashire in the other semi-final. A very professional performance against a talented Middlesex side. 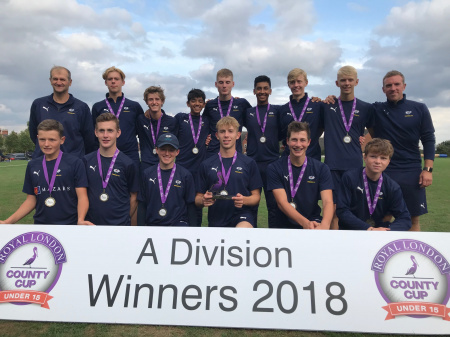 ECB Royal London Cup final, Yorkshire U15 v Devon U15, held at Kibworth CC on Thursday 23rd August 2018. Yorkshire 180-9 (Romir Singh 57, Yash Vagadia 48*) beat Devon 158 all out (Ben Cliff 3-25) by 22 runs. Yorkshire U15s moved on to the final of the National County Cup v Devon on Thursday 23 August. Captain Cooper Smith won the toss, for a change, and had no hesitation in batting first. But. Yorkshire were soon in trouble at 5-2, with Will Luxton and Leo Johnson both going cheaply. Hector Bowerman and Romir Singh dug in, but Bowerman and Ford both went quickly. Romir played a classy innings but, when he was stumped, Yorkshire found themselves at 124-7 with plenty of overs left. The crucial innings was played by Yash Vagadia (48*), who showed great maturity (actually being an U14) and, along with Harry Sullivan and Alex Kaye, he shepherded Yorkshire to a respectable 180-9 when the overs ran out. Devon also gave Yorkshire 22 wides, which were to prove vital. Devon’s reply began well for Yorkshire as the opening bat was caught at extra cover by Will Luxton off Ben Cliff. But, the score had moved on to 86 when the left handed Hamilton chanced his arm once too often and was well held at long off by Dan Ford off Harry Sullivan. Louis Beckett then gained his reward for a fine spell, when he bowled the other opener with one that kept low. 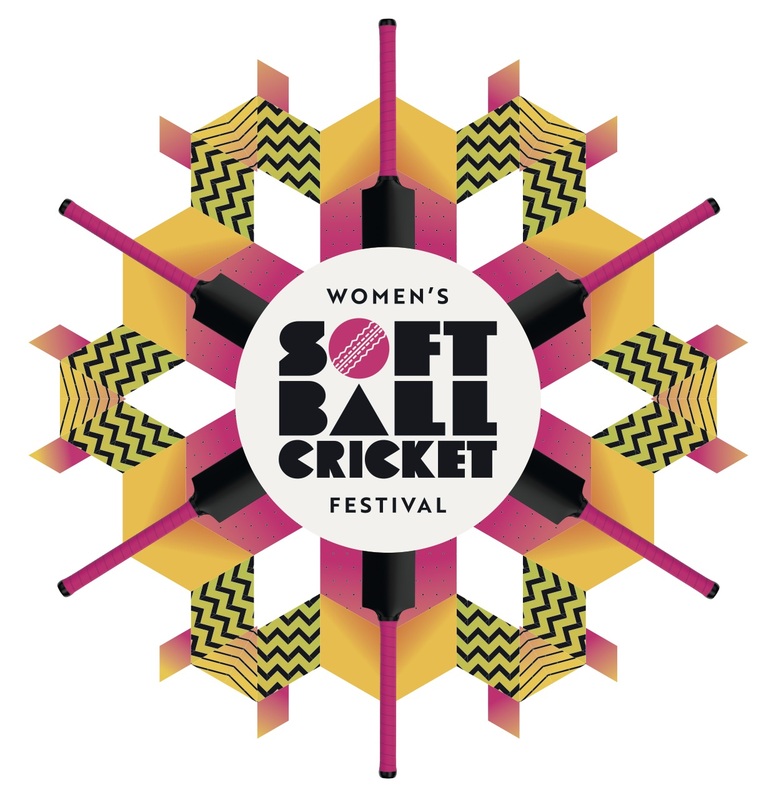 This brought Devon’s captain Joe Du'Gay to the wicket and he was soon into his stride when he drove one well to Luxton’s right at extra cover; Luxton swooped with a one handed pickup and throw with one stump to aim at at the bowlers end. That's all he needed and the main man was gone! A stunning piece of fielding which changed the game. Next, Bowerman got in on the act with another brilliant piece of fielding, a one handed pickup and throw from deep square leg which ran the batsmen out going for a two. Matthew Bird returned and claimed another wicket caught behind by Alex Kaye. Best of Bunbury player Ben Beaumont was in now and was punishing anything loose as the game was still in the balance. However, Cliff returned to shatter his stumps to leave Devon nine down with 23 runs to win. The last man arrived and Cliff administered the last rights, by bowling him through the gate to spark wild celebrations from the Yorkshire players! Yorkshire only conceded five extras and put in a superb fielding performance, which they have worked so hard on this year. But the main reason for the victory was a togetherness and total commitment to the team ethic - which is rare in any cricket never mind County Age Group. They showed what can be accomplished with hard work and skill. They were a credit to Yorkshire Cricket and their parents. Excellent cricketers and even better young men.